Beal credits enthusiastic students with deepening his interest in biblical monsters. Class discussions nearly two decades ago helped him see that God’s connection to murderous creatures is more complicated than most people assume. “Sometimes, monsters are the enemies of God, but, other times, God identifies with them, even when they’re dangerous and chaotic and deadly,” he said. Similarly, the Bible includes tales of angels sent on search-and-destroy missions, causing chaos instead of offering comfort, Hamori noted. 2 Kings 19:35 reads, “That very night the angel of the Lord set out and struck down 185,000 in the camp of the Assyrians; when morning dawned, they were all dead bodies.” In the Old Testament, Satan is an angel. “In the Bible, monsters are part of God’s entourage,” said Hamori, who is working on a book about biblical monsters. Since the earliest days of Christianity, the Bible’s darkest scenes have caused tension. 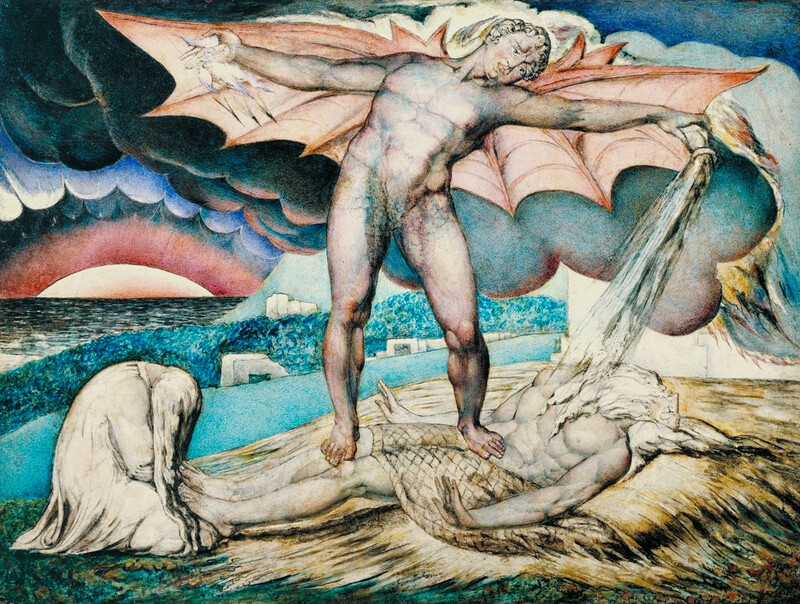 Some early church leaders wanted to preach that there were two separate gods: one with monsters in his employ and one who is the essence of love, said Jess Peacock, a graduate student in religion who writes a column on theology and horror for Rue Morgue magazine. “The dark side of the divine was an issue for early church fathers,” he said. People who love studying religion and monsters can empathize with those who don’t. Reading about deadly angels or sea monsters controlled by God isn’t as soothing as reading about Jesus Christ healing the sick. “What people want from religion is certainty, comfort and stability. It’s not comforting to think that God is taking sides with the monstrous over against us,” said Beal, who published “Religion and Its Monsters” in 2001. However, Beal and others still advocate for deeper engagement with the Bible’s scariest stories. It can be empowering to study how the people described in religious texts responded to unexpected monster encounters and good to be reminded that God is more complex than we can ever imagine, Beal said. Kelsey Dallas is the faith writer of the Deseret News.